Every summer the Olympic Tennis Club on First Hill would stage a grand tennis tournament between its men members. But on the contest’s opening day in July 1895, the net crowd was able for the first time to watch women in a skilled volley. 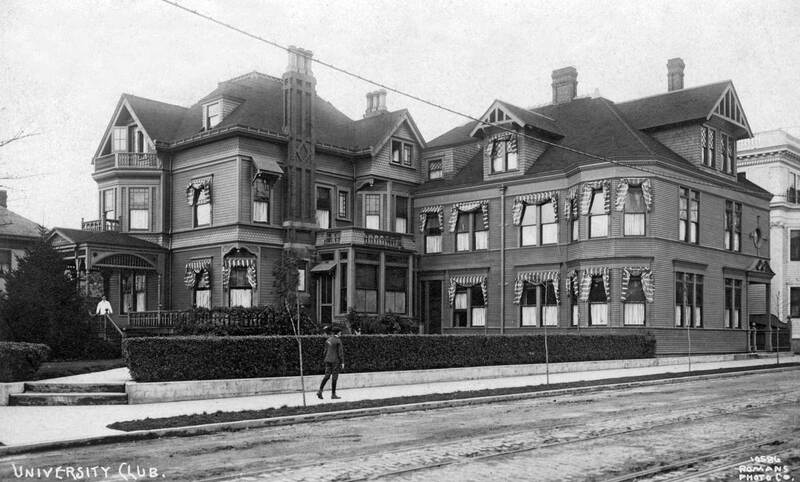 An article in the Seattle Post-Intelligencer predicted, “What is likely to prove the most successful, as it certainly is the largest, tennis tournament ever held in the Northwest began yesterday noon on the grounds of the Olympic Tennis Club at the corner of 12th Avenue (now Minor Avenue) and Madison Street . . . The crowd was of the right sort and the number of pretty girls in summer costume did much to stimulate the spirit with which the matches were played.” [Does any reader have any clear understanding of what is meant by this “stimulate the spirit with which the matches were played?”] This was the club’s fifth year of tournament play on its clay courts behind the Martin and Elizabeth Van Buren Stacy Mansion on Madison. 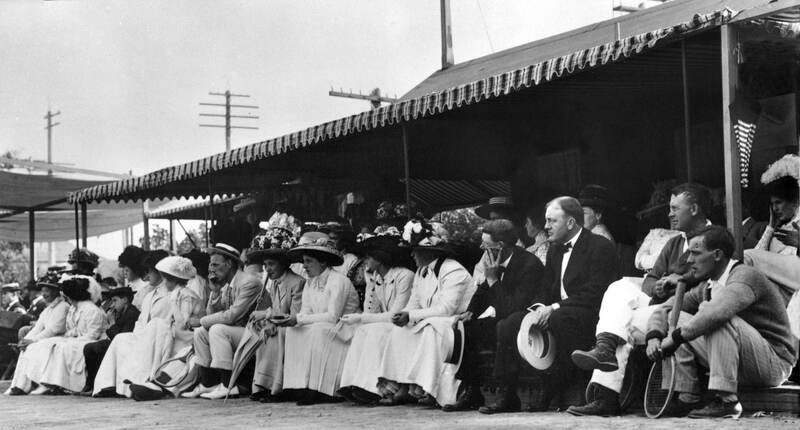 But 1895 was the first time “pretty girls” took to the courts themselves in singles and doubles matches. 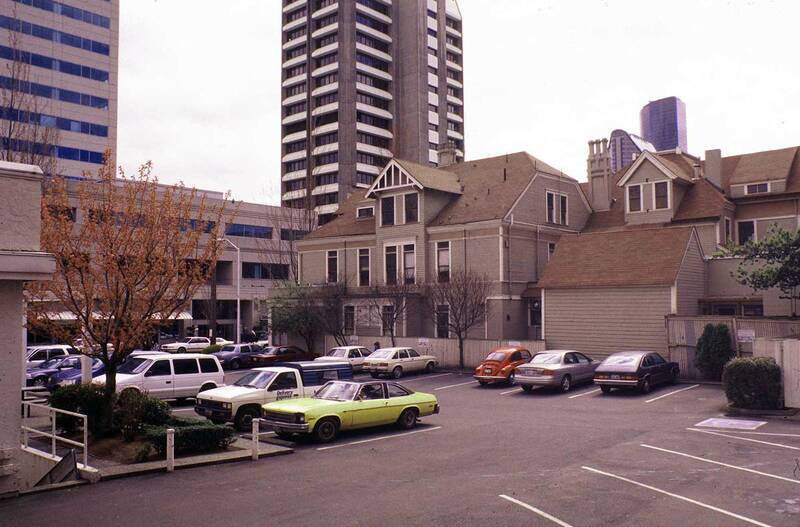 The following year, 1896, the Olympic Tennis Cub changed its name to the Seattle Tennis Club. 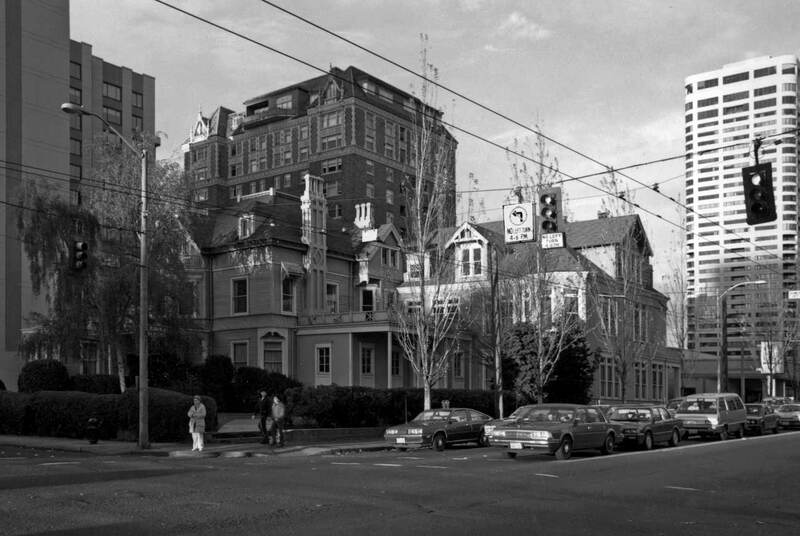 In 1903 the crowded club built additional courts up Madison Street at Summit Avenue, and in 1919 it migrated far up Madison to its new and present home on the shores of Lake Washington.